SCSU loses another close one on homecoming. 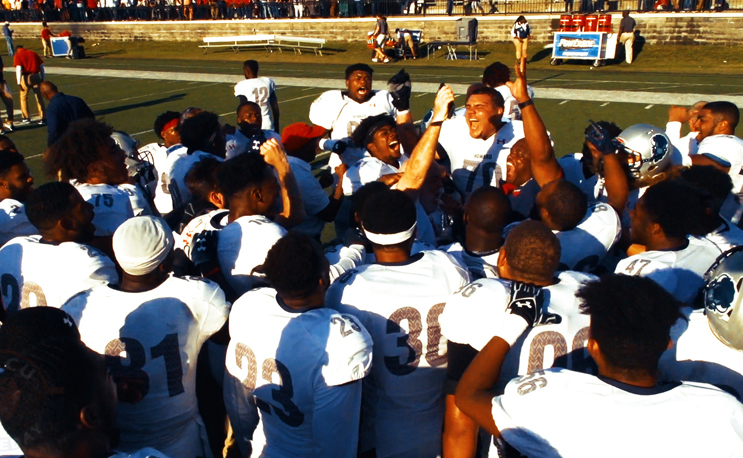 The Howard Bison rolled into Orangeburg, South Carolina looking to spoil Homecoming for the 15,096 fans at Oliver. C. Dawson Stadium. Howard generated 365 yards of total offense on 75 plays. Sophomore receiver Jequez Ezzard had a game-high 144 receiving yards, including a 94-yard touchdown from Jerry Rice Award Nominee Caylin Newton. HU capitalized on SCSU’s opening drive turnover with a double-reverse pass from redshirt junior Jason Collins to Ezzard. Then with under seven minutes left in the opening period, Newton found Ezzard for a 94-yard TD pass and gave the Bison a 21-0 lead after the first quarter. Caylin Newton continued his strong Freshman season with a big performance against one of the best defenses in the MEAC. Caylin is the third Newton in his family to play HBCU Football. Cecil Newton played football for Savannah State from 1979-83. A safety and linebacker, he intercepted seven passes in 1979 and was named to the All-Southern Intercollegiate Athletic Conference team. Caylin’s oldest brother, Cecil Jr. was First-team All-OVC (Ohio Valley Conference) while at Tennessee State. Caylin’s father and brother were in Orangeburg to watch the youngest Newton. Howard came away with the win but they had to hold off a serious South Carolina State comeback attempt. Down 28-13 in the fourth quarter, SCSU blocked a punt for a touchdown, got the ball back and went on a final drive down to the 3-yard line with less than a minute left to play. But the Howard defense came up with four straight stops to leave Orangeburg with the win. Howard (5-3, 4-1 MEAC) continues its road swing in Tallahassee, Fla. where the Florida A&M Rattlers await. Saturday’s matchup starts at 4 p.m. at Bragg Memorial Stadium. South Carolina State will have a bye week before returning to action on Saturday, Nov. 11 against visiting Hampton. Kickoff is set for 1:30 p.m.